The Advertising Standards Authority considered complaints about 10 Facebook posts from The Scottish Gin Society. Beer, fizzy drink and meat producer groups have all expressed concern about the shortage. The policy comes into effect from Tuesday after being held up by a six-year legal battle. How many years have you lost from drinking? Regularly drinking between between 10 to 18 glasses of wine or beer a week could lower life expectancy by around one to two years. Students from the National University of Singapore have invented 'Vocktail', an interactive device that lets users digitally enhance drinks. An NHS boss has reminded revellers that "NHS doesn't stand for 'National Hangover Service"'. Almost nine in 10 people are not aware that drinking red wine can increase a person's chances of getting cancer. Relatively low levels of drinking may trigger potentially dangerous irregular heartbeats, new research has found. 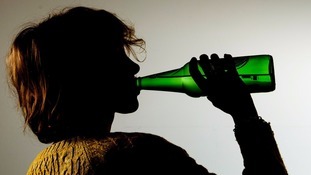 New research suggests half of parents ignore expert advice to avoid giving children alcohol. A new study has poured cold water on the idea that moderate alcohol consumption is healthy.